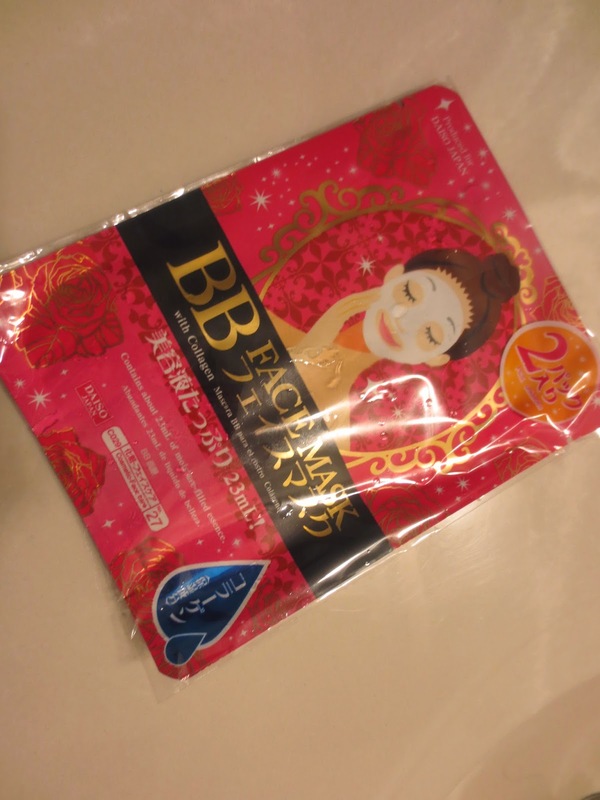 ANNIE'S WAY MASK FIRST IMPRESSION!!! HEYLO!! happynewyear. hope all goes well for everyone this year, may it be one of the best. MAKE EVERYDAY COUNT!!! Please check out my new video, and please subscribe!!!! Stay tuned for a end of the year beauty/collective haul!!! MUAAAAAHHH. xoxo, Janie. HELLO!!!!! So CHRISTMAS came super early for me this year, thanks to my older brother (you da real MVP) lol. I decided to get the Clarisonic PLUS,and was lucky enough to get a HOLIDAY SET for 20% off too -- so only $155 after tax, just like the price of a MIA 2. I really did contemplate on which one to get,but decided on the PLUS :) I will further explain why in future videos. I've had it for almost 3-4 weeks now,and I love it -- don't even have to exfoliate no more. This is the device I chose at the time, I made the purchase on THANKSGIVING and received it five days later ^^ When I purchased this, I also noticed the they now have a MIA 3,which is much more expensive...like whuttt??? I originally wanted the lavender color,but it did not come with the HOLIDAY set,so I decided the extras would be more worth it,and I'm loving the color. I forgot to mention that along with the 20% off,I was able to get a free head brush too,so I went for DELICATE since I have sensitive skin,and did not know if the SENSITIVE brush would gentle enough :) I LOVE LOVE LOVE IT. I was introduced to the CLARISONIC a few years ago, by BUBZBEAUTY because she had done a review on it, and I've wanted this since then.I even thought about purchasing it at a cheaper price through ebay,but I heard that some of them are fake,so I didn't want to risk it. Besides they were having an awesome sale at the time for CLARISONIC. I also did an unboxing and first impression,so please watch and subscribe to my channel!! Will do a five week review of it soon!!! CLICK ON THE LINK!!! MY NEW CHANNEL - THEJANXXOXO. PLS SUBSCRIBE!! I don't think I've talked about my huge huge acne breakout (for me)...like ever, but you did see my last post, and let's all agree my skin was not in it's best condition. WHO LIKES ACNE? NO ONE!!!!!!!!!!!!!!!!!!!!!!!!!!!!!!!!!!!!!!!!! I started breaking out really badly after coming back home from California in August (spent two weeks there)....and while I was there my skin was NEVER improving, it would stay the same (with pimples here and there, some were growing), or it would just progressively worsen -- no matter what I did, it was just totally not working at all!! I was frustrated because my skin had cleared up quite well before going to California, and I was looking forward to a cleaner complexion, but NO!!! I didn't eat the best while in California, okay!! Like who would pass on such good food? Also experienced KOREAN BBQ and ate octopus for the first time in my life (not a really big fan, just not for sea food in general) -- I KNOW BOOHOO. 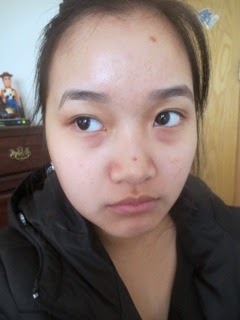 Okay, I admit this isn't severe acne, but for me this is because it's the worse condition my skin has ever been in. 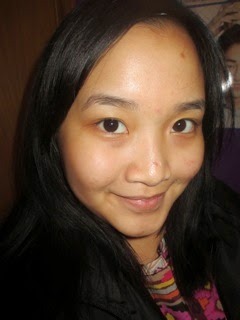 This was when my skin was also doing a bit better, I just can't find the earlier ones, I'll see if I can find them. 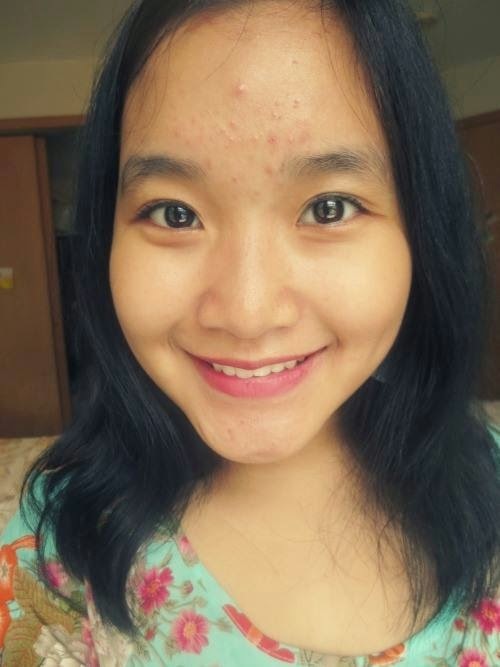 Yes, I went to school like this -- only with my skincare layered right on top, with no concealer, foundation,bb cream whatsoever -- I put my skin out there...it's not like I didn't care, I did. 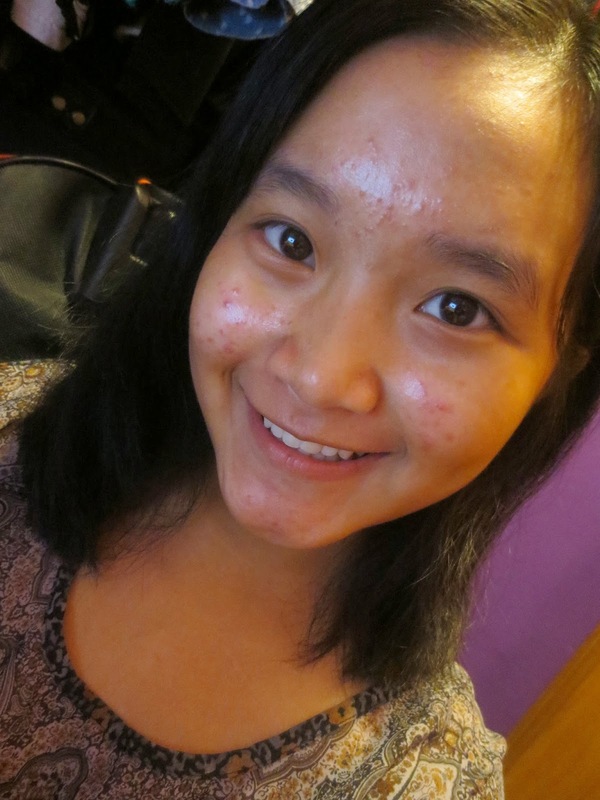 I never really cared about what people thought about myself or my skin -- if I'm comfortable then I'm happy. But there were many people who would point it out, like "Janie, you're breaking out! OMG." Don't worry guys, we are human and human beings are allowed to break out, we aren't meant to be perfect. Now that my skin has recovered, and now that I look back -- man it really was bad, like my bumps were literally three-dimensional??? like you could see it like "Standing up/out'?? is that the correct term, but you know what -- I would rather let people see it openly than hiding it behind makeup just making it worse for my skin. I will do a video on items I used soon!!! So if you're excited comment below or give this a "+1" ??? yaaaaas, :) lol. Don't be insecure about such silly things that people make fun of you for, our human bodies do amazing things to help us get better -- be who you want to be, no actually be yourself!! Stay tuned for future blog posts and reviews and videos!! p.s. 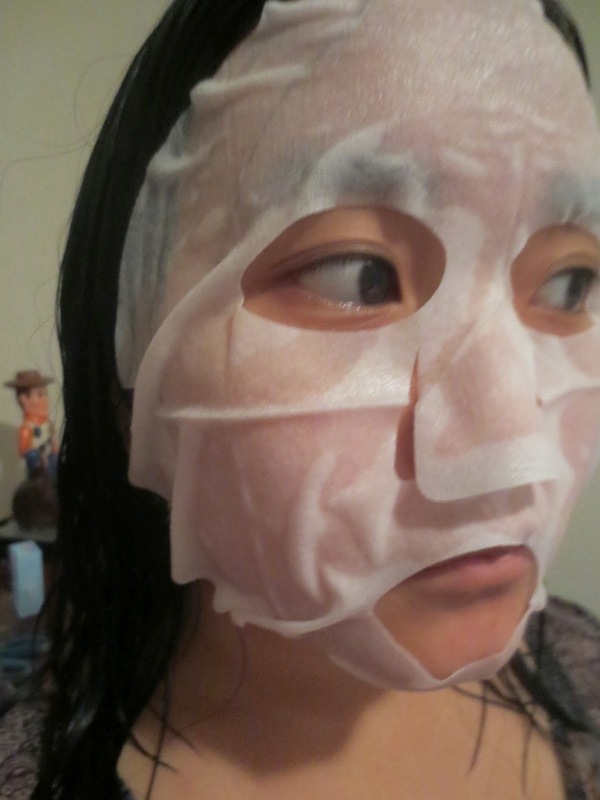 just ordered a whole bunch of Korean skincare products, will do a haul video foshooo. Junior Year -- Class of 2016!! Hello ladies and gents -- back from being M.I.A. Life has been hectic and going to be stressful (even more) from now on. I can feel it -- well they do say that Junior yr has to be one of the hardest, and it's only been the start! I've survived two weeks of junior year so far -- with three IB quizzes just last Friday, IMPRESSIVE! lol. 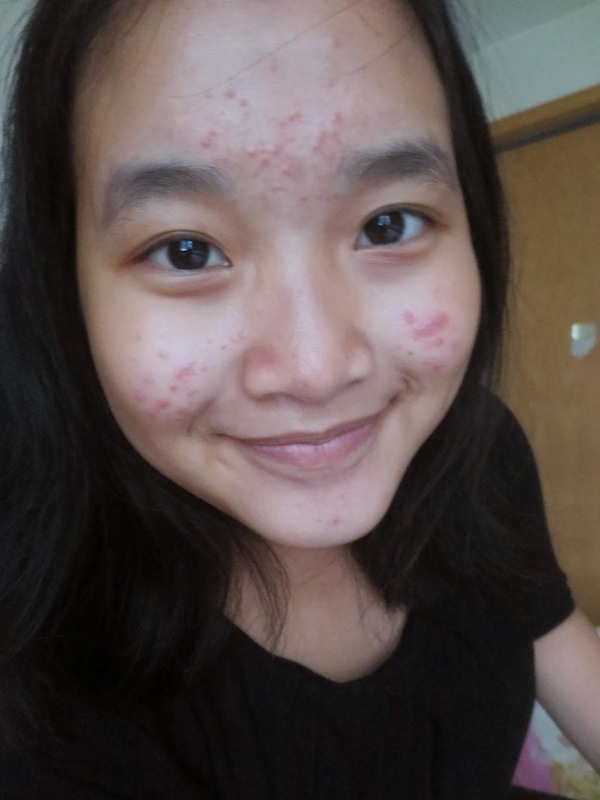 My skin has been doing very bad, to the point where I"m seeing my Doctor regarding it tomorrow, but has gotten better -- will talk about that in another post too :) lol. A selfie, always, to end duh post :) thanks for reading. Hello hello! I sincerely apologize for my lack of updates because a lot of things have happened ever since! I last updated in May about EXO and the departure of Kris. SO SO many things have happened since then -- I am no longer a sophomore but am now a junior (which means I'm halfway there!). I am so excited but at the same time very worried because it is going to be a stressful year, but we can get through it! I also have summer homework -- which I still need to work on. I am going to be taking Physics IB , so I am quite nervous -- I am not a math genius, but I sort of like math because it gives me a satisfying feeling when I am able to solve a problem! (need to review my Algebra 2 lessons lol.) I have also been having lack of updates because my ACER CHROMEBOOK (I will be doing a review on this soon) died on me (not literally), there's just a malfunction with the screen so it's all glitchy and stuff now....I am currently typing this on my Macbook ^_^ It is not the newest version, it is from 2007/2008, and is refurbished because I will be getting a new laptop in two years anyways, and besides I only need it for schoolwork,social media, kdramas, and of course da blog. I don't think I'll be able to upload anymore photos, or at least that of good quality (may have to use iPod) because my Macbook doesn't have a SD card slot, and the HDMI doesn't work with syncing photos( at least I don't know how to). I will try my best! I am also going to California on Saturday night (road-trip) and I am seriously so excited! I really want to go to Korea Town in L.A., but we'll see what happens! I am super excited! This will conclude my update and I will make sure to update more (and maybe more kdramas and kpop posts in the future!) Comments are welcomed don't forget ^_^ OHH and I also turned 16 on June 18, I was planning to update then but I was busy babysitting! My apologies again! Here is a selfie to end the post (you can see that big pimple lol.). Hi there I'm Janie, and I love makeup, but I'm inexperienced & love experimenting with makeup. I'm also a KPOP fantatic :) Nice to meet you.